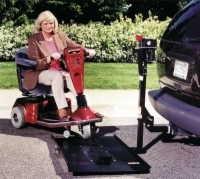 The Burr Mobile-Lift Outside Model offers you the ultimate in quiet convenience and independence. It requires no disassembly of your 3 or 4 wheel electric scooter or wheelchair. Simply drive it on, attach the safety harness and push the switch. 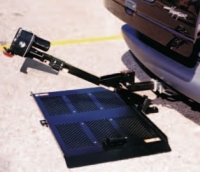 The Mobile-Lift raises and locks any scooter in place on the back of your car in just 60 seconds so you can be on your way! The vertical post folds down (like in the picture) allowing easy access to the back of you vehicle. 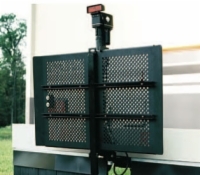 Unit requires a class 3 receiver hitch.